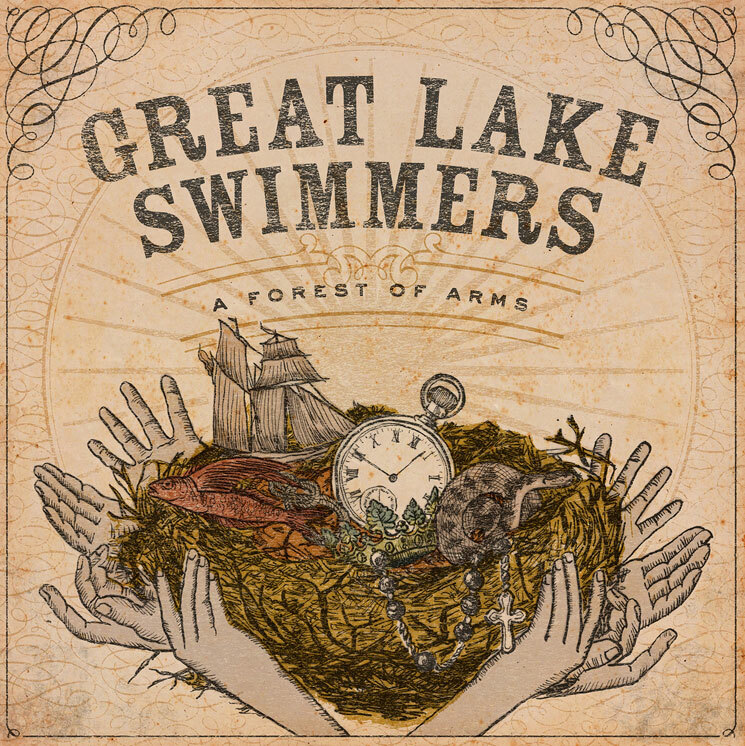 Great Lake Swimmers "The Great Bear"
When Great Lake Swimmers announced their album A Forest of Arms, frontman Tony Dekker cited a trip to BC's Great Bear as an inspiration. Now the folksy Toronto band have shared an album cut called fittingly enough "The Great Bear." The song is a low-key ballad, consisting almost entirely of sustained piano chords and rusting drums. There are a few chiming guitars and a warm cloak of reverb as Dekker sings of "the call of the wind," "great green pathways" and "avian songs." The phrase "a forest of arms" comes from this set of lyrics. Hear the premiere of the tune below. A Forest of Arms will arrive on April 21 through Nettwerk Records. As previously reported, the band have a series of Canadian tour dates coming up, and you can see those below.